I've become quite enamored with money-saving DIY projects as of late. From homemade toothpaste and clarifying shampoo, to body lotion and laundry detergent, I can't seem to stop myself. Of course, all of this do-it-yourself-ness has spilled over into the kitchen, as well, which is what brings me to this post. All summer long, CH and I have been basking in the glow of refreshing iced coffee. Pitcher after pitcher disappears, yet I never tire of it. One of the best parts is the serious savings that accompany the DIY aspect of making iced coffee, especially when compared to what you'd pay for it at Starbucks, or, say, Cafe Grumpy. There's also something kinda magical about the way that two simple ingredients (plus one night's worth of sleep) can turn into sheer deliciousness. When making cold-brewed iced coffee, feel free to use any brand or roast that you like. Even flavored coffee is great, especially if you drink yours black (or with just a splash of soy milk) as I do. Just make sure to start with fresh, whole beans - grind 'em yourself - and a French press (or a large container, a fine mesh sieve, and a cheesecloth), and you're good to go. Now, even though CH informed me that once he learns how to make perfect iced coffee, he won't need me any more (ouch! ), I'm gonna go out on a limb and share my method here. 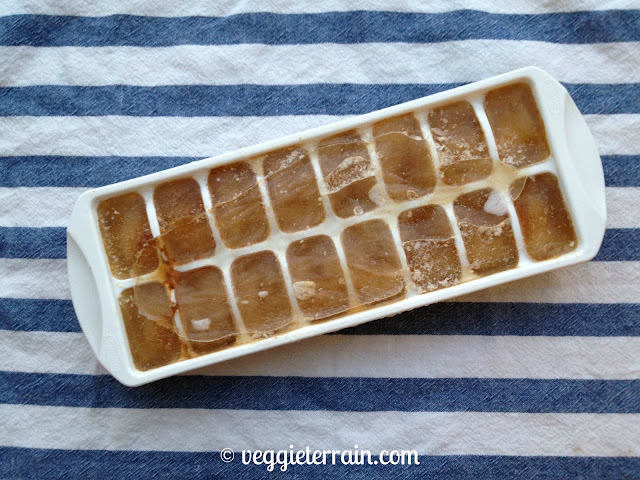 I'm also including a quick primer on coffee ice cubes. As if you'll have any coffee left over. Right. Using this method, the first two ingredients combine to make a sort of coffee "extract," which is later added to an additional amount of water. This is helpful because it allows a smaller vessel (ex: a standard-sized 34oz. French press) to be used when cold-brewing coffee, since its unusual to have a myriad of large containers lying around. Add coffee grounds to a standard 34oz. 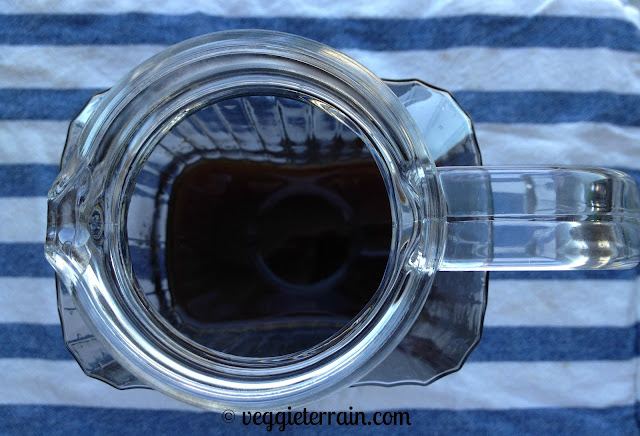 French press, or another container that will accommodate 4 c. water, plus 1 c. coffee grounds. Pour water into French press/container, & stir to wet the grounds. Cover selected container with plastic wrap & place in the refrigerator for 8 hours, or overnight. After allotted time, remove container from refrigerator. If using a French press, use your hand to lower the plunger into the pot, as you normally would when making coffee. Then, pour the coffee extract into an 8 cup pitcher. 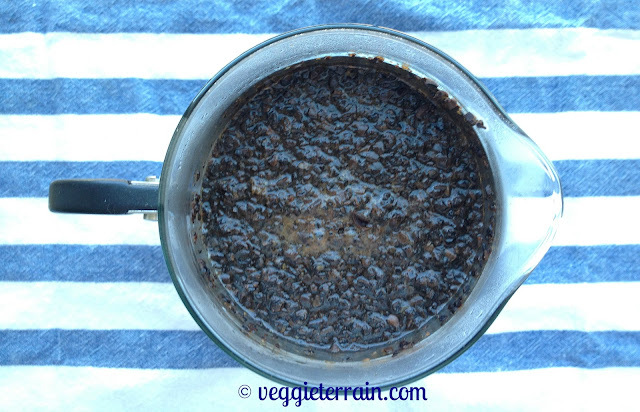 If using another container, place a fine mesh sieve over the top of an 8 cup pitcher, line it with some cheesecloth, & pour the coffee extract through the sieve & into the pitcher. Finally, add 4 cups of reserved water to your pitcher & serve. Enjoy your perfect iced coffee black, or with a splash of non-dairy milk &/or a bit of sugar. Add some coffee ice cubes if you wanna get really fancy. 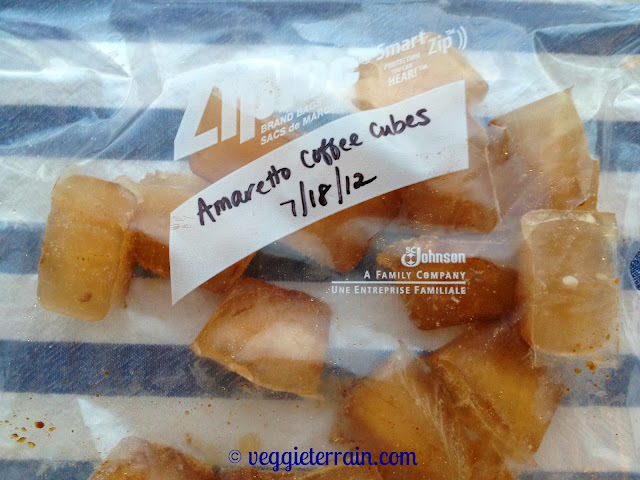 If you, like me, have been accused of being a slow drinker, you might want to add coffee ice cubes to your repertoire. "Why," might you ask? Well, there's nothing worse than finally getting to the bottom of your beverage and encountering that watery, diluted, coffee-like crap that results from the melted ice in your coffee. Ick. Remedy this problem by freezing any left-over coffee that you have in an ice cube tray. Loosely cover the tray with plastic wrap to avoid any weird freezer-food smells from seeping in, and then pop your cubes into a large freezer bag once they're frozen. Label the bag, drink up, and pat yourself on the back for being so darn savvy. Pssst! Looking for some great coffee beans to make the perfect iced coffee? Believe it or not, Trader Joe's Organic Bolivian Blend is fantastic, and fair trade! 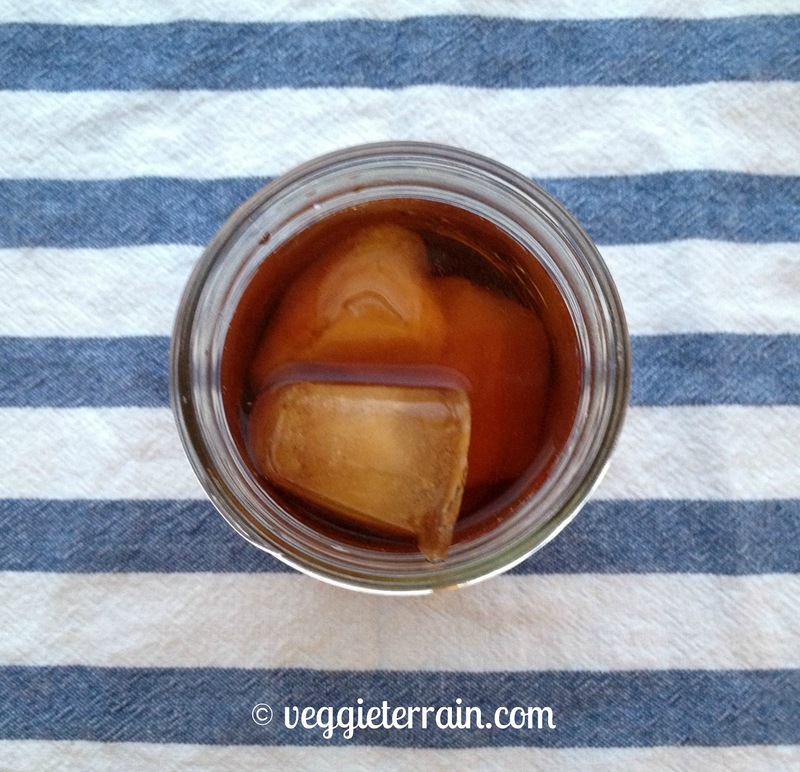 I used to make cold brewed iced coffee and this post definitely makes me want to get back into it. The stuff is SO good! @tashina - It is GOOD, isn't it?! 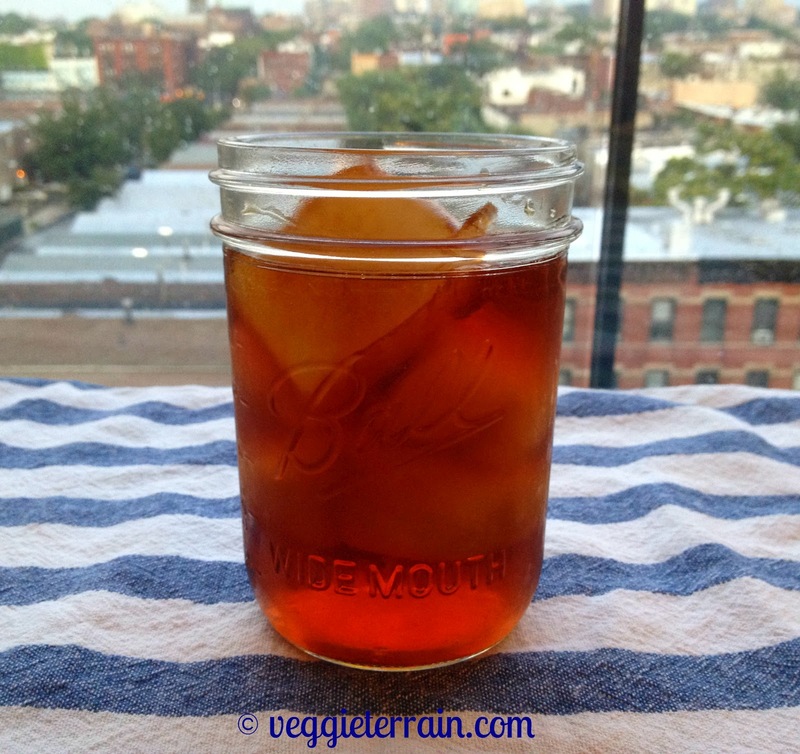 I love cold brewed iced coffee (& tea). Delish!